Prominent & Leading Wholesale Trader from Pune, we offer ice machine. 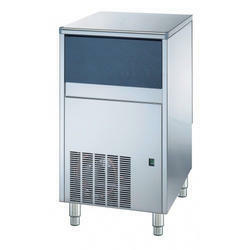 We are one of the leading wholesaler trader and suppliers of Ice Machine. Blue Star, India's leading air conditioning company, collaborates with NTF (Italy), the world's leading ice machine manufacturer, to bring you sophisticated ice-making machines that freeze water and make ice effectively. These machines are hygienic, energy efficient, durable and easy to maintain. Blue Star uses its expertise and domain knowledge to give you the products as per your needs and requirements. And with its widespread service network you can be sure of long life and optimum performance from your machine. Looking for Ice Machine ?